Sophie Marsh, 2017 recipient of the Caroline Huetter Foundation Award. Photo provided by Sophie. We are thrilled to announce this year’s winner of the Caroline Huetter Foundation’s annual award: Sophie Marsh. Sophie was selected for her drive and passion to make a change in her local community. She was awarded a $1,000 grant that can be used without stipulation or restriction. Sophie came to San Luis Obispo four years ago to continue her education at Cal Poly University. 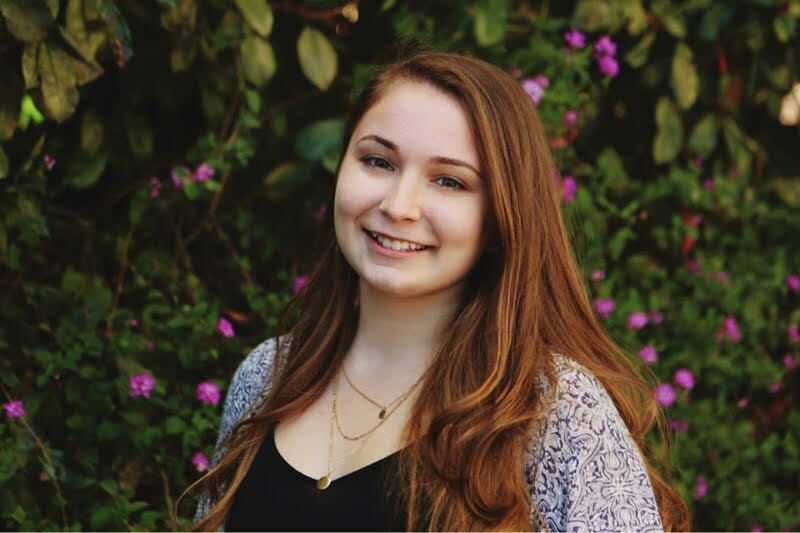 Since January of 2016, Sophie Marsh has worked as a volunteer for RISE, a local nonprofit that provides services for survivors of sexual assault and intimate partner violence throughout SLO County. In that time, Sophie has provided countless hours of services to clients both on RISE’s 24-hour crisis line and in-person. On top of the crisis work, Sophie also took a position co-chairing one of RISE’s annual fundraiser and awareness events, Walk a Mile in Her Shoes. This year RISE hosted four Walk a Mile events throughout the county and brought in over $50,000 which will go right back to providing services for the community. As of this June Sophie will be graduating with a B.S. in Psychology and a minor in Spanish. After graduation, Sophie will be heading to South America for three months of backpacking and then will return to San Luis Obispo to work and prepare for her next steps.